Amazon announced Thursday, Jan. 18, 2018, that it has narrowed its hunt for a second headquarters to 20 locations, concentrated among cities in the U.S. East and Midwest. The company just cracked the Fortune 500 top 10 for the first time. 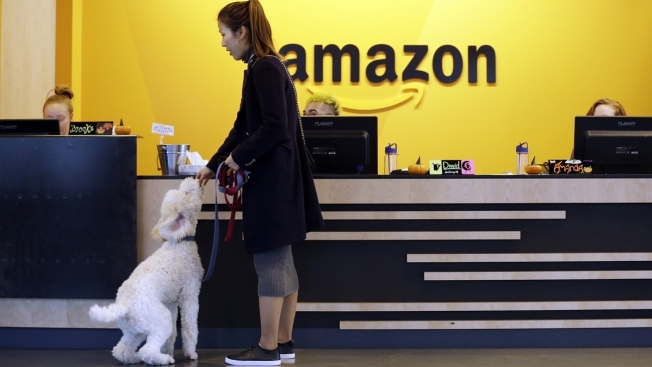 E-commerce giant Amazon, the Seattle-based company that's currently in the midst of a nationwide search for its second headquarters, broke new ground today with the revelation it's cracked the top 10 of the Fortune 500 listing for the first time, landing at No. 8 with $177.8 billion in revenue. Walmart topped the list for a sixth consecutive year with $500 billion in revenue. The rest of the top 10 is comprised of Exxon Mobil ($244B), Berkshire Hathaway ($242B), Apple ($229B), UnitedHealth Group ($201B) McKesson ($198B), CVS Health ($184B), AT&T ($160B) and General Motors ($157B). The combined 500 firms account for $12.8 trillion in revenue — 2/3rds of U.S. GDP — and 28.2 million employees. GE tumbled five spots to No. 18, it's lowest ranking ever; Tesla made the biggest leap, jumping 123 spots to No. 260; and 17 new companies joined the list for the first time including Wynn Resorts, Envision Healthcare and Molson Coors Brewing. Ranking No. 4 overall, Apple tops the list in terms of profitability, recording $48.3 billion in profits. Walmart is the biggest employer with 2.3 million employees. Also of note, New York topped California for having the most Fortune 500 firms with 58 versus 49, and only 24 of the 500 firms are headed by women.